Help Us With Our Facebook Page! 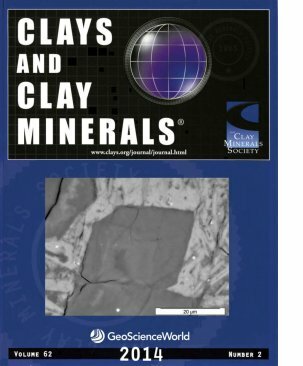 You can also see the table of contents for our sister journal, Clay Minerals, at GSW and Ingenta. 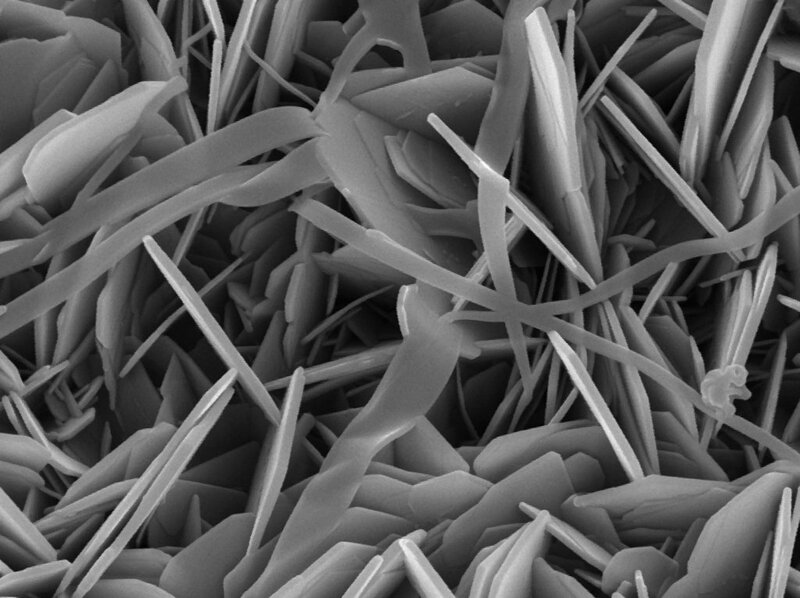 There you will find the open access paper: Monitoring hydration in lime-metakaolin composites using electrochemical impedance spectroscopy and nuclear magnetic resonance spectroscopy, by Pesce et al. We are moving quickly through 2014. I am reminded by my students that 2014 is the International Year of Crystallography as declared by the United Nations. There are few times where a scientific discipline or sub discipline is brought to this level of attention. Year 2014 is 102 years following the landmark results of generating and interpreting the first X-ray diffraction patterns showing X-ray were waves and minerals were composed of a 3 dimensional lattice at the atomic scale. Bragg, von Laue and their colleagues and collaborators were early leaders of this work. Their efforts effectively mapped the positions of atoms in mineral structures. Today, we see these structures and perhaps we lose track of all this early work and the creativity required. The 2014 International Year of Crystallography is a time to remember the importance of structural mineralogy and perhaps take some time to read some of the early papers. I call your attention to the papers in the January issues of Acta Crystallographa (2012 and 2013) for some good background reading on the occasion of the centennial celebrations for Bragg and for Laue. We can marvel at what was done without laptops, computers and other advanced techniques. It is a time also to encourage further works in this area. 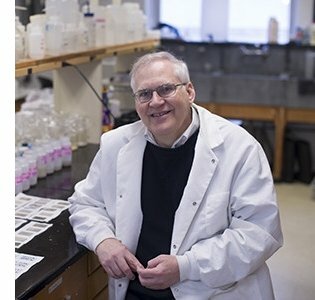 The next hundred years looks to be promising with new “lenses” to examine minerals and new regions to explore beyond Earth. 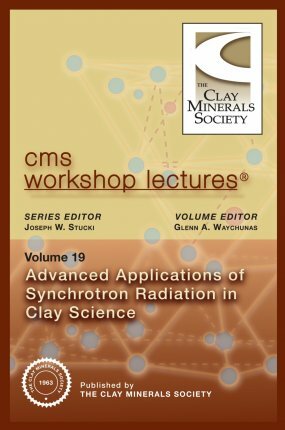 The latest in the WLS has been published, volume 19: Advanced Applications of Synchrotron Radiation in Clay Science (Glenn A. Waychunas, editor), and is now available for purchase from the Clay Minerals Society online bookshop. The lecturers in the associated workshop (Illinois, 2013) represented the majority of topics in synchrotron science that are of use to the clay science community, and it is notable that most of them have been responsible for significant development of these methods during their own research careers. The final versions of these lectures are presented in this volume, and serve not only as significant statements on the state of these applications, but also as useful primers to potential new users of synchrotron facilities. 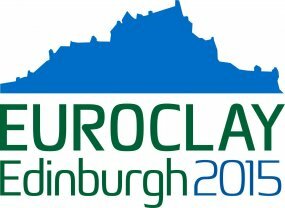 Expect to see an announcement soon about online registration for the joint CMS-European Clay Groups-Mineralogical Society event, Euroclay2015, in Edinburgh, Scotland very soon. Finishing touches are being put to a choice of four field trips, two workshops, some twenty scientific sessions, and a lively program for accompanying persons. 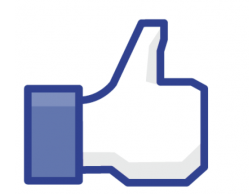 We are excited to announce that the Clay Minerals Society now has it’s own page on Facebook! As we are a little behind the times, we need your help to catch up! Feel free to post on our page. We want to hear about your research and see what articles you are reading! Let’s use this page to share our passion for clay minerals! Do you have a suggestion to help improve our newsletter? Is there an announcement you want to share with all the CMS members? We want to hear about it! This is your newsletter, help us make it amazing! Send your comments to cms@clays.org with the subject line, "Newsletter Suggestion." Want To Keep In Contact With CMS? Some Twitter highlights include: #MineralMonday, #VolcanoMonday and #ThinSectionThursday. Tweet us your best pictures or articles!